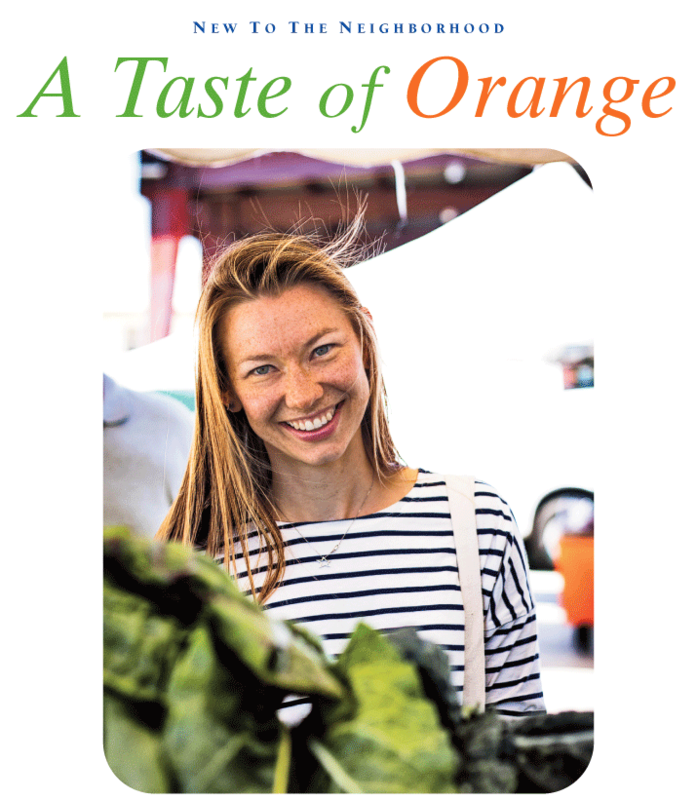 The Orange Dietitian, Katy Dyer, offers complimentary advice once a month at the Orange Home Grown Farmers & Artisans Market. She launched her consulting business in Old Towne at the first of the year. Doing business as the Orange Dietitian, Katy has spent most of her career specializing in weight and health management. Now consulting from an office at 594 North Glassell, Katy most recently worked at UC Irvine as a health educator and continues to work with firefighters for a fitness/diet program at Santa Ana College. She earned her B.S. in Dietetics at Simmons College in Boston, Mass. Among her many services you’ll find family and individual nutrition counseling, corporate wellness, cooking lessons, nutrition packages, meal planning, sports nutrition, vegetarian/vegan diets, personalized grocery shopping/tours and weight management. A volunteer at the Orange Home Grown Farmers & Artisans Market, Katy offers free nutritional advice to the public once a month. She also helps manage the successful Kids’ Club, which holds crafting classes and scavenger hunts at the farmers’ market. A native of Arizona, Katy moved to Orange County in 2006 after graduating from college in Boston and completing her dietetic internship in Iowa. She worked in Irvine at the university for seven years and then moved to Old Towne with her husband, who also works in Orange. She launched her consulting business at the first of this year.